Starting today, the new ZITY ZONE is available in Alcobendas. The arrival of ZITY’s carsharing service to this city north of Madrid was made possible with support from the City Council of Alcobendas, which has worked with the carsharing company so that ZITY’s services are available to Alcobendas residents, as well as thousands of Madrilenians that travel to the city every day for work. During the opening celebration for the ZITY area, 13 parking places designated exclusively for carsharing vehicles were also unveiled. These parking places are located in four strategic areas in the city, and they are the first carsharing parking places in the Autonomous Community of Madrid. "ZITY is continuing to increase its service to reach more people in every part of Madrid. We've worked closely with the City Council of Alcobendas to assure that the service is as useful and suitable as it can be for the city and its residents." 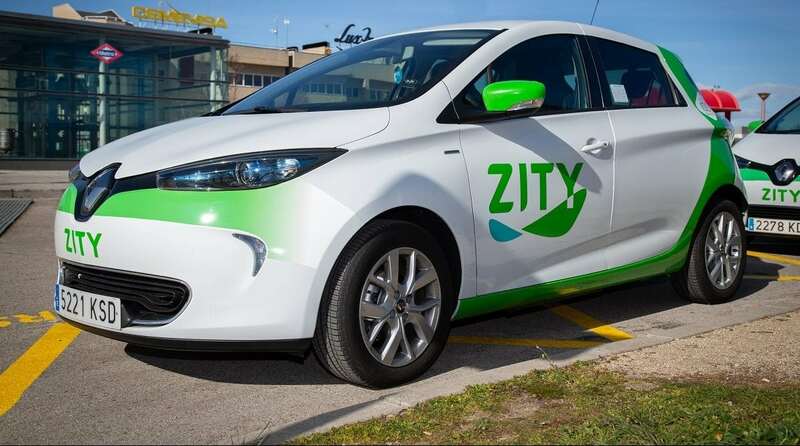 In order to ensure the ZITY fleet’s availability for Alcobendas residents and to facilitate parking the vehicles, the first parking places reserved for carsharing vehicles in the Community of Madrid were unveiled. There are a total of 13 parking places spread out over four parking areas that are part of the City’s Mobility Plan. The City Council of Alcobendas will continuously increase the number of parking places reserved for parking and trading off carsharing vehicles. For those who are interested in trying out the service, ZITY released the promo code “ALCOBENDAS,” and the first 2,000 residents who register with the service can enter it in the app’s “Payment and promos” section to automatically receive a €5 credit. ZITY’s plans to expand in different areas across the Community of Madrid are starting in Alcobendas, but they will reach other cities in the Community in the next few weeks.